How many babes do you have? 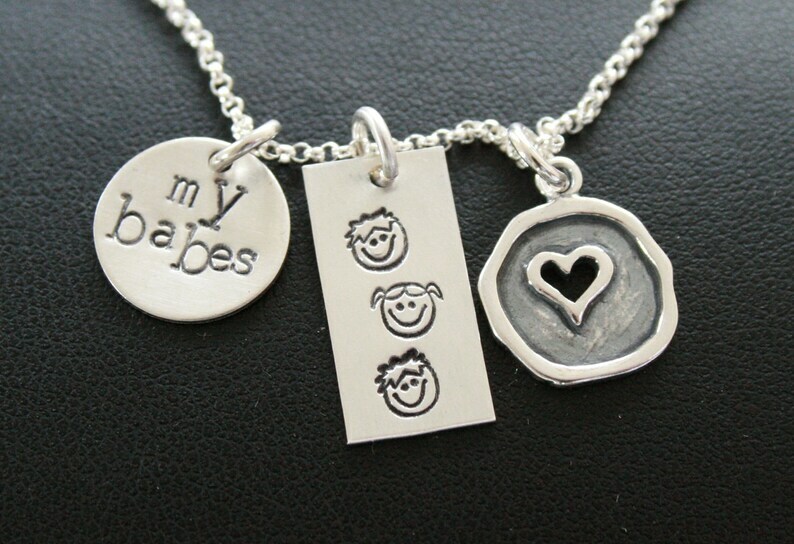 This listing is for 1 round disc, 1 rectangle disc and a heart charm. Please let us know if you need boy or girl faces and how many. Also dont forget to pick your 18" sterling silver chain. Want to add discs? Just contact us and we will provide a special listing for you.